In For A Surprise. a "Hogan's Heroes" bit of پرستار art I created several years پہلے - works as پیپر وال if آپ center it. 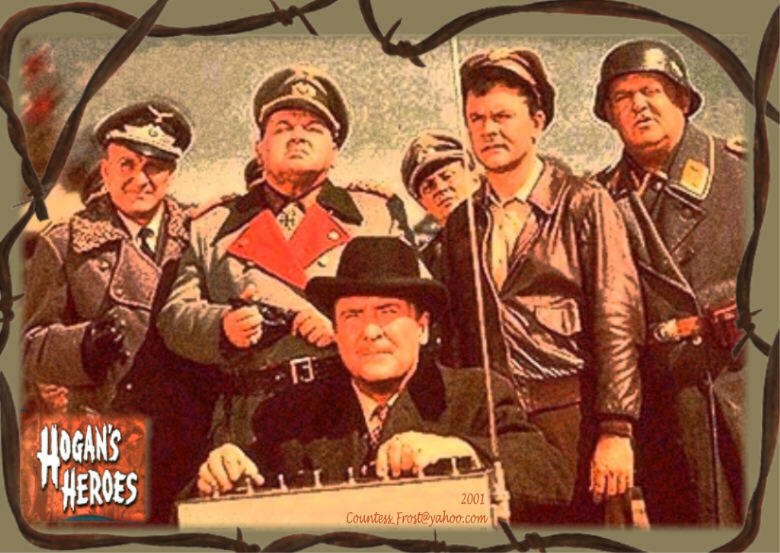 HD Wallpaper and background images in the ویژن ٹیلی club tagged: hogan's heroes bob crane schultz klink tv fan art wallpaper thecountess. This ویژن ٹیلی fan art might contain سائن ان کریں, پوسٹر, متن, چاکبورڈ, نشانی, تختۂ چاک, ڈاؤن لوڈ ہونے والے, مزاحیہ کتاب, منگا, کارٹون, ہالی ووڈ, and کامک بُک.